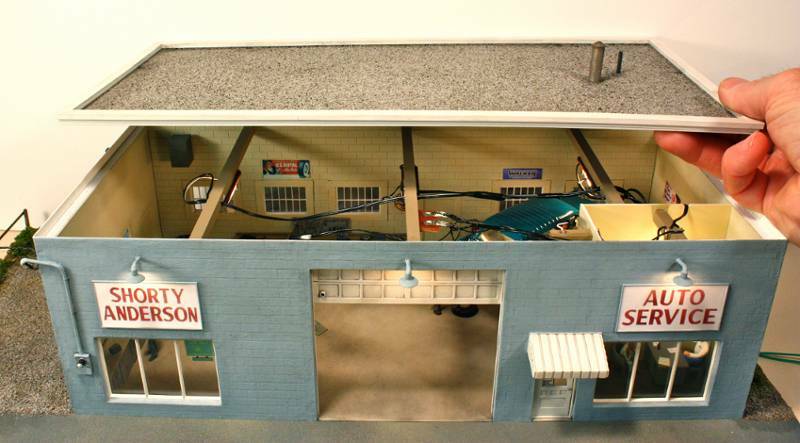 This is scratchbuilt model of a well-known auto repair garage in Morgantown, WV. A photograph of the prototype is shown at the end of this set of pictures. 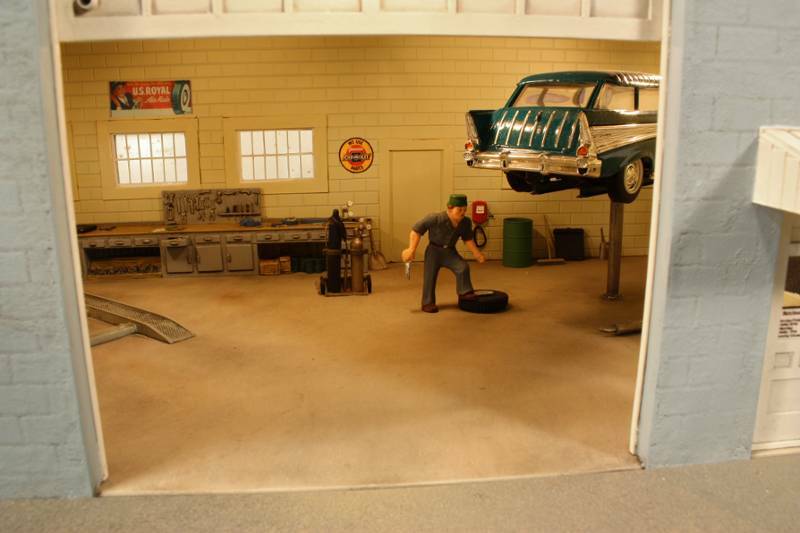 The structure is reminiscent of a 1950s style auto repair shop that is individually owned and not affiliated with a national chain. The building was built using styrene strip and N Scale Architect concrete block sheet. 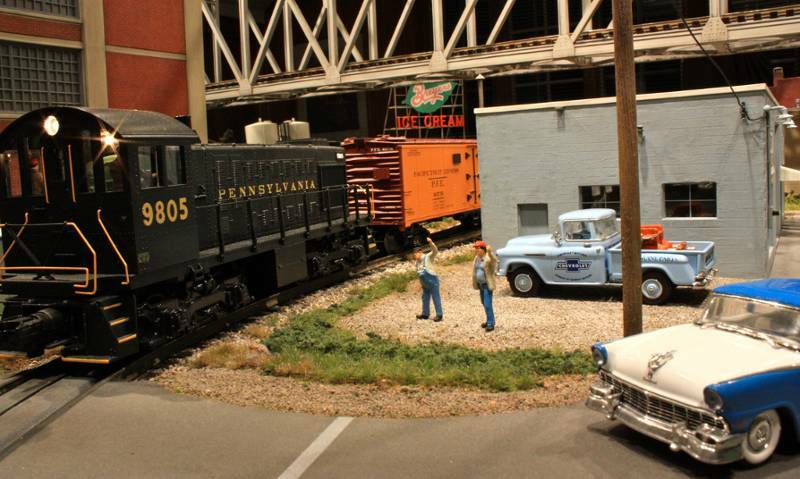 The interior was detailed using castings from Berkshire Valley, Evergreen Hill Designs, Pine Canyon Models, Builders in Scale, and Artista. 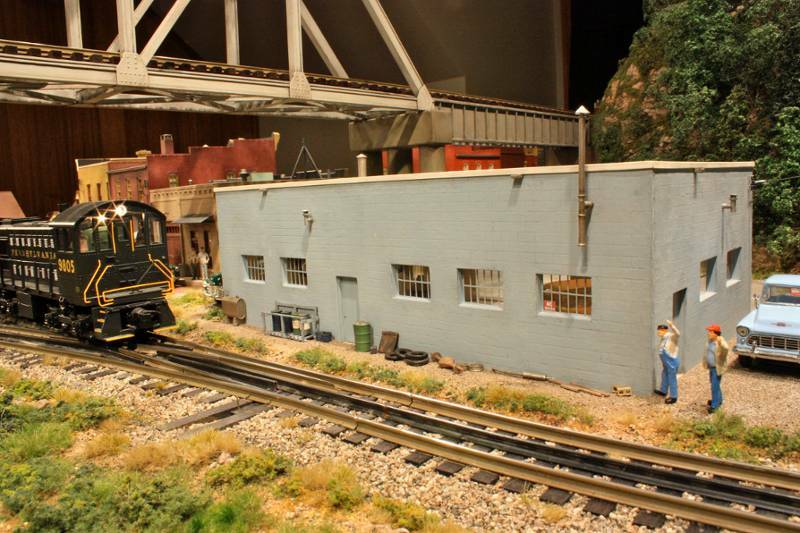 A detailed description of the construction of this building can be found in Issue #64 (Sept/Oct 2012) of O Scale Trains magazine. Shorty Anderson is located along an industrial spur of the layout. The roof of the structure is removable. Close up shots showing the interior of Shorty Anderson. Now that is really, really good!